Residential Pre-Purchase full building surveys (for people buying a house or flat). These types of surveys are akin to what was formerly often termed as a full structural survey. Our survey is a very detailed survey where we look at all aspects of the property on a non destructive / intrusive visual basis and covers all main aspects i.e. signs of structural movement, cracking, damp, loft and roof structure, wood boring beetle, dry rot , wet rot etc. Intermediate level Building Survey : We also offer an intermediate level of survey of our own design, where the same checks as we carry out for our full building survey are carried out, but with a more concise and less detailed style of reporting. 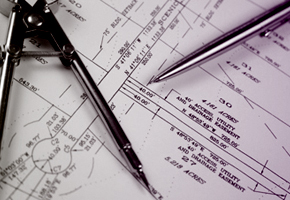 Producing plans for making a Full Plans building regulations application. 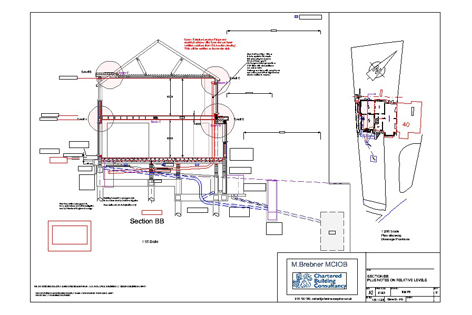 After you have obtained planning approval for your project or been granted a certificate of lawfulness we can develop the drawings into a level of detail suitable for making a building regulations application. 3D visualisation – this can not only help you and others to visualise your property, but it will also help you to identify different types of designs you could have.